The global leader in regenerative organic agriculture is coming to the corn belt. The Midwest Organic Center will be located at Etzel Sugar Grove Farm, part of Iowa's first and only privately owned and operated non-profit nature center. Rodale Institute, pioneer of the organic movement in America and site of North America's longest-running trial comparing organic and conventional growing methods, will open the Midwest Organic Center at Etzel Sugar Grove Farm (part of the Indian Creek Nature Center) in Marion, near Cedar Rapids, Iowa this year. In 2016 the USDA reported that Iowa-long considered the epicenter of agriculture-has 103,136 certified organic acres on 732 farms. This places Iowa fifth in the nation for number of certified organic farms, representative of a growing movement. Yet the region lacks truly progressive, widespread access to research and training in regenerative organic practices. 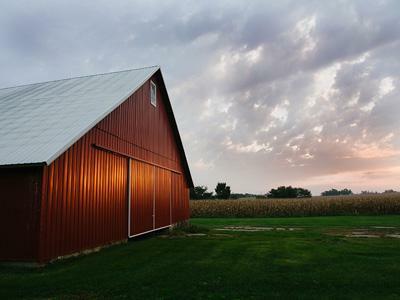 The Midwest Organic Center will provide resources and support for Iowa's organic farmers and enhance the growth of more organic farms throughout the entire region. "This is a real milestone," said Jeff Moyer, Rodale Institute executive director. "There are a lot of opportunities for Midwest farmers to transition to organic-whether it be in grains, livestock, or other specialty crops-and we want to be true partners to make that possible. We're looking forward to having boots on the ground in the Midwest to address some of the greatest challenges for farmers in the region, and to provide training, demonstration plots, field days and more. We invite additional partners to join us in this initiative, and expect it to be a real collaborative effort." In 2019, researchers and farm staff will begin transitioning the land to organic, a process that requires three total years. They will designate areas for grain production, vegetable production and a long-term systems trial similar in design to Rodale Institute's flagship Farming Systems Trial. The center plans to host an education day for farmers sometime this year. "We are very excited to work with Rodale Institute to launch the Midwest Organic Center," said John Myers, Indian Creek Nature Center executive director. "Rodale is a respected leader in the organic field and this partnership will allow us to expand the impact Etzel Sugar Grove Farm has on educating and supporting Midwest farmers." "At Frontier Co-op, we've always believed that we have a responsibility to people and planet," said Tony Bedard, Frontier Co-op chief executive officer. "The Midwest Organic Center represents a truly progressive approach to enhancing agriculture by demonstrating the benefit of not only organic but regenerative agricultural practices. These practices will restore topsoil, enhance soil health and grow better, more nutritious crops. We believe it is imperative that these progressive practices be exhibited and shared with producers in the Midwest, especially as topsoil levels continue to plummet in Iowa."